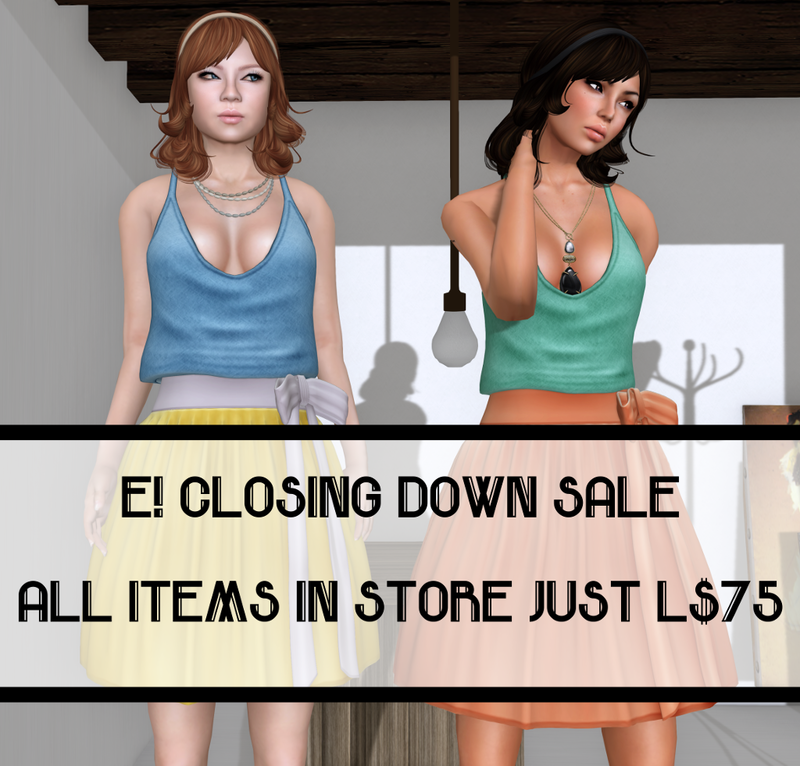 It is with sadness that we will be closing e! in a few weeks. We have loved running e! but things have gotten busy with our real lives and we have decided it is best to close the store. Everything in the store will be just L$75 until we close the store. Our items will be available on the MP but there will be no in world store. Please come on down and grab any items you have always wanted.